Every time I walk in this place in pain and deflated. Without fail, on every occasion I walk out pain free and inspired. 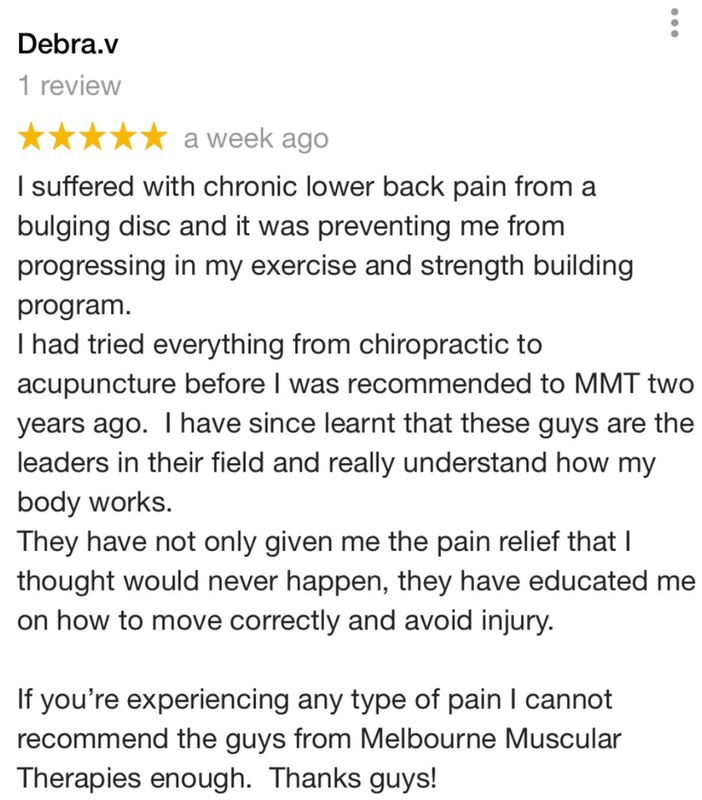 More than just muscular treatment, MMT educates and reassures that with an injury, all is not lost. Healing is possible. My wife had a muscle pain at her groin after a fall. We tried to make a booking at the muscle manipulator place in Heidelberg with no luck talking to an sharp and abrupt receptionist. 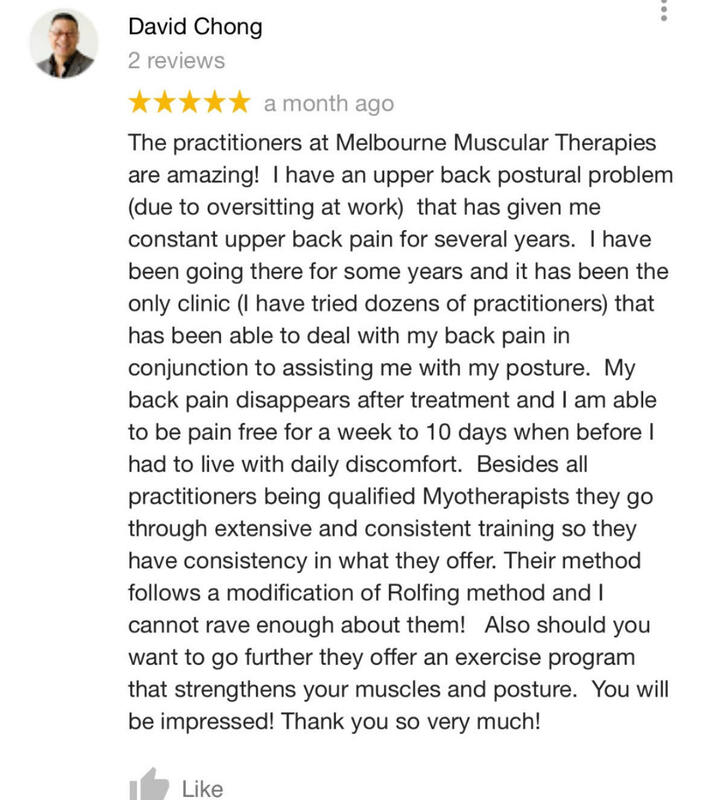 Our call and appointment to this location was so pleasant and everyone here, Charlotte, Aaron, Darcy and others were cheery and so nice. Aplointment was in the afternoon, and on time. She recieved the muscle treatment from Charlotte for an hour and immediately felt much less pain when she moved and walked. She was able to sleep well for the couple of nights before the current appointment with Charlotte, even though today was Charlotte’s day off. We really feel thankful for the excellent skills, service and attitude of the staff here.